When the Shulz and Kolb families met through their kids, they quickly became friends—and then, as some friends are wont to do, further solidified their bond by opening a brewery together. 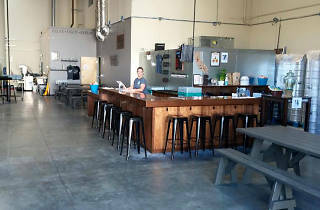 Now the Torrance brewery offers 12 unique beers, from a session IPA to a brown ale to a variety of porters. 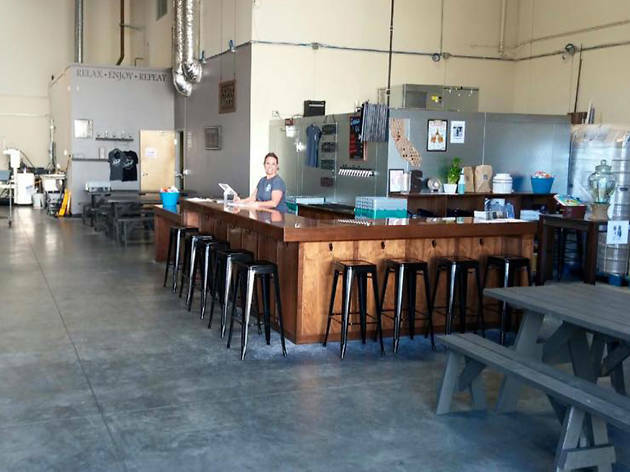 The taproom is spacious and bright, and welcomes outdoor food to pair with your beer purchases (though there's usually a rotating list of food trucks that stop by). Plus, free pretzels—'nuff said. I don't drink beer, but my husband does, and we love Scholb. My husband loves the beers because they have several dark beers that he likes. More than any other brewery we've been to. The owners are very friendly and outgoing. You can talk to people without having to yell to be heard. Music is playing, but in the background. We've recommended Scholb to several of our friends and they've become fans of Scholb too. Staff is friendly and engaging. The beer is smooth and tasty.